Poland's Jazz Jamboree festival really opened up in 1963 – and featured great performances from jazz musicians all over the European scene – plus key Polish talents, and a few American guests as well! This second volume really smokes with some very long tracks that are heavy on excellent horn solos. 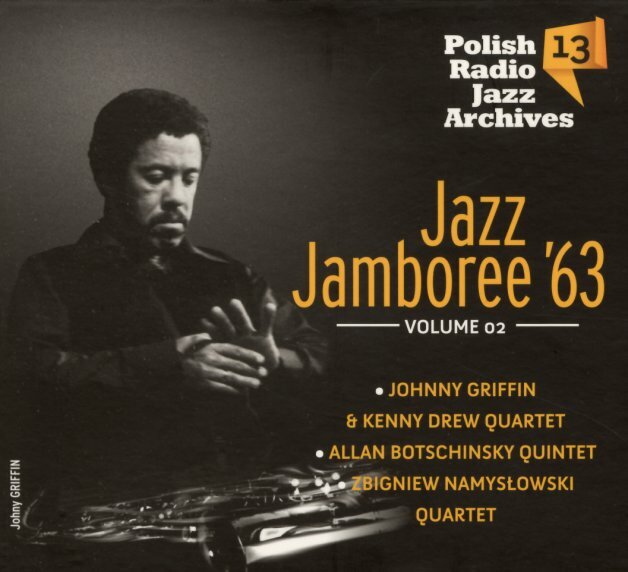 First up is a quartet with Johnny Griffin on tenor and Kenny Drew on piano – taking very long takes on "Now Is The Time" and "Jumpin With Symphony Sid" – with strong rhythm work from Wim Overgaauw on guitar, and Ruud Jacobs on bass – a nice drum-less group! Next is an excellent quintet led by trumpeter Allan Botschinsky with Ray Pitts on tenor – opening up on all original tunes – "Our Blues", "A Waltz", and "Ray Pink". Last up is some great homegrown talent – the amazing Zbigniew Namyslowski, heading a quartet on "Let Me Have A Break", and "Fair Lola The Northern Flower". © 1996-2019, Dusty Groove, Inc.